In this week’s Table Talk you can wash your triple stacked burger down with a pink gin or freshly brewed coffee. Does Birmingham city centre have room for another coffee shop? Apparently so. In March latte lovers should head to Bull Street for the new Waylands Yard. Owned by Sam Smith, this is the second branch for the ex rugby player whose first coffee shop in Worcester supports local suppliers. A new independent venue has quietly opened in Coventry. The photos of their burgers on Instagram caught my eye and I liked the nod to the city’s heritage. From Friday to Sunday Seven 17 offers a triple stacked ‘Cathedral’ and is working on a 2Tone burger too. If you like your gin pink, then look out for the English Drinks Company’s new Classic Pink Gin. Flavoured with pomegranate and cinchona bark this is a luxury, small batch gin made in Shropshire that can be savoured on its own or blended into cocktails. RRP £35. Some of my favourite street food traders are heading over to Coventry, thanks to the Digbeth Dining Club who is setting up a new monthly lunch club. 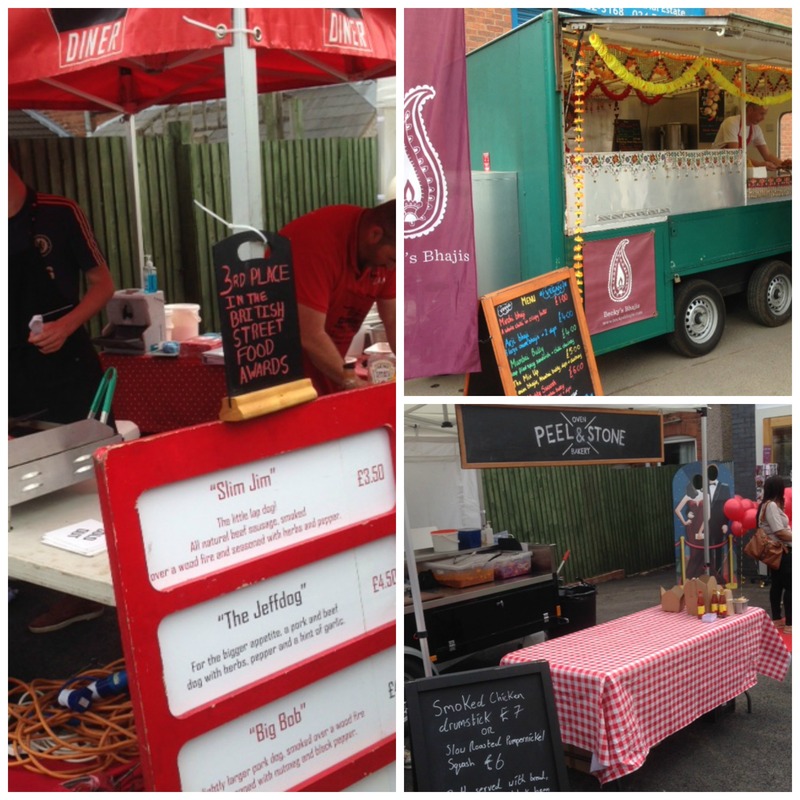 Head over to Friargate on the last Wednesday of the month and you can tuck into UK Street Food Awards’ Best Burger winner The Flying Cows, Middle Eastern dishes from The Middle Feast, a Caribbean feast from Esmies, sourdough wood-fired pizza from Handmade Pizza Co and to finish churros, hot chocolate and coffee by Bare Bones Churros. From 11am to 3pm. Launches on Wednesday 28th February. As Coventry is still basking in the glory of winning the UK Capital of Culture2021, I thought I’d share with you one of the city’s small cultural attractions. The Priory Visitors Centre is slap bang in the middle of the city centre opposite Nando’s. Built over the remains of Coventry’s first cathedral, excavation work gave archaeologists the opportunity to uncover details of much of the original cathedral and tell the story of this amazing part of Coventry’s history. Priory Visitor Centre & Undercroft is now open as a social enterprise and last weekend I took my mum there for a Victorian Afternoon tea. Another teatime classic, home cooked meats, all prepared, potted and butter sealed, served with oatcakes. A duo of classic pork pies, hand raised by CH Rowley Ltd of Arley, in the time honoured way, and topped with homemade cranberry and apple chutney, plus cider apple sauce. Another classic – no afternoon tea is quite right without them, and they are the epitome of what a fine lady might have served up to her tea guests. We had cucumber and egg. Traditional mini sized fruit cakes, made to a Victorian recipe, and topped with a touch of marzipan and Royal icing. A classic Tipsy style cake, inspired by the fabulous Mrs Beeton’s recipe. Delightful little tartlets filled with fruit and spices, a change from mince pies to add a twist to our tea. The ultimate cake to grace our seasonal Victorian tea plate. They came in different flavours, such as almond, or even orange, but the mini cakes on our platter today were in the modern sandwich form of the cake that we know so well. Crystallised chestnuts and handmade rum truffles. All washed down with lashings of tea and mulled wine! For £20 per person it was great value and a lovely way to experience an afternoon tea with a twist. Check The Priory Visitor Centre’s Facebook page for future events. A boozy table talk this week, with news of new bar openings in Coventry, Birmingham and Stratford upon Avon for you. The Botanist bar and restaurant has submitted an application for an alcohol license, which if approved could see them opening up in Unit 4 of the Broadgate Centre in the heart of Coventry. How the city will fare with hanging kebabs, watering cans of cocktails and even mini wheelbarrows to serve food remains to be seen. I missed the launch party due to train woes (maybe I should have taken a barge instead!) so I am keen to get inside the newly opened Canal House and try some of their home distilled gin. The former home of 18th century engineer James Brindley has been transformed into two levels serving food, premium craft beers and cocktails, alongside live music. Italian wine café Veeno has become the first restaurant to open at the Bell Court complex in Stratford-upon-Avon. The 90-seat venue serves wines from the family vineyard back in Sicily and Spuntini – platters of meats, cheeses and other appetisers imported from selected Italian producers. When something is on your doorstep, it is very easy to take it for granted and not make the most of it. That is definitely the case with me and Coventry. Even though the city is only 12 miles away from where I live, I automatically think of Leamington and Birmingham as places to go out and eat even though they are further away. It is probably the greater choice and proliferation of independent venues there that sways my decision, so I was delighted when Coventry blogger Stella Backhouse got in touch. “Food Covolution is my project designed to showcase independent food in Coventry and is set to launch on 3rd April. The internet-based resource aims to create a one-stop-shop promotional platform for the city’s independent restaurants and cafés, as well as food producers and specialist retail outlets. “Especially in the city centre, the restaurant scene in Coventry tends to be dominated by chains. Awareness of independent alternatives, on the other hand, is more fragmentary and disjointed. “I’m not anti-chains, but to give independent food a better chance of competing with them, we need to raise its profile. Food Covolution will do this by providing independents with a place from which to shout about the fantastic food, offers and events that are already happening – and hopefully encourage more to happen in future’. And she added “Coventry’s independent food sector is under-developed relative to other cities, so there are potentially terrific opportunities to be had here, above all if we win the City of Culture bid. A number of great new restaurants and street food stalls have opened recently. I want to support them – but more broadly, if we can generate a buzz around food in Coventry, it could be a key step towards attracting more investment down the line”. If you have a local food business, want to support this new site, or just find out more then contact Stella on foodcovolution@gmail.com and see if we can start a food revolution in Coventry! Plans for a new £5m food hub have been unveiled for Coventry. Shearer Property Group has bought the Cathedral Lanes shopping centre in Broadgate and plans to create a new food and drink quarter. 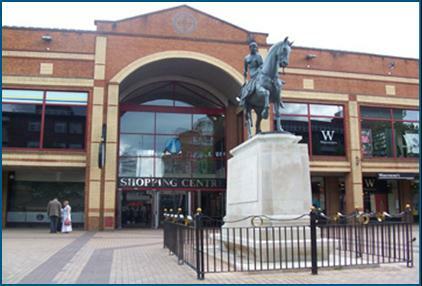 Built in 1989, the 65,000 sq ft shopping centre is in front of Coventry Cathedral in the heart of the city centre. The new owners plan to have the first phase completed in time to have restaurants and bars operating by Christmas 2015. Shearer specialises in urban regeneration projects and has worked in towns and cities including Bath, Cambridge, Newbury, Weymouth, Shrewsbury and Swindon. 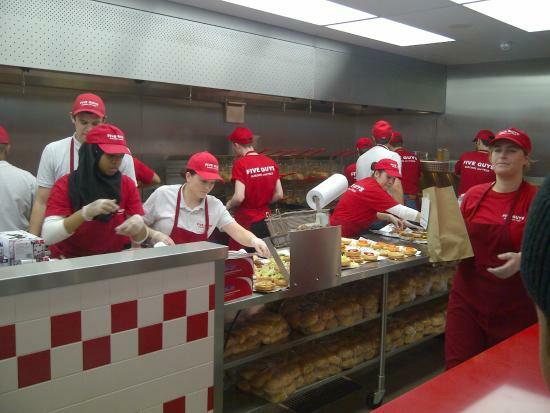 The company says it has already attracted interest from several leading restaurant brands not currently operating in Coventry. On Coventry Telegraph ’s website there is a small poll inviting you to nominate which brands that you would like to see in the centre, which suggest Yo! Sushi Five Guys and Wagamama. Is it too much to hope that there will be some independents in there as well as the usual high street chains? 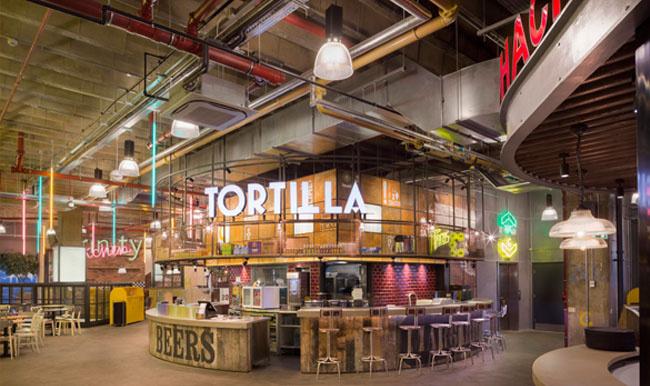 Trinity Leeds has managed it with their mix of 30 cafes, bars and restaurants that are household names which sit alongside a permanent area for street food traders in Trinity Kitchen. With the recent opening of Fargo Village and launch of Eat Street market on Coventry University’s campus, the city is making the right moves to encourage new, independent food businesses into the city. There is the appetite for more, but it remains to be seen if this thinking is extended into the city centre too. Deep in the student hinterland of Far Gosford Street in Coventry, a new hub for independent retailers has just opened. 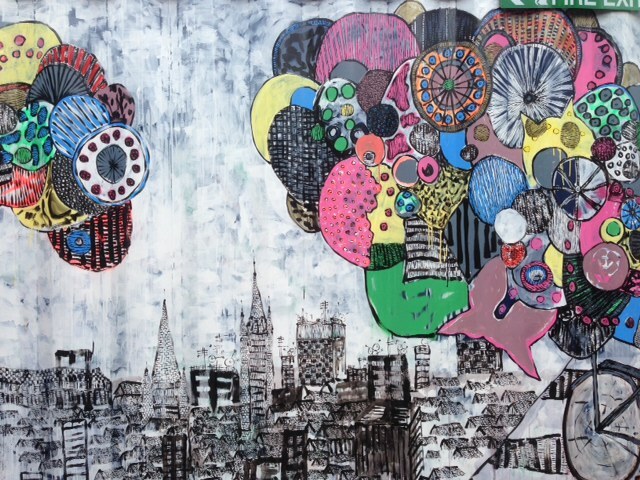 Imagine a smaller version of the Custard Factory, where artists work and sell their crafts from converted shipping containers and you get an idea of what Fargo Village is like. Among the vintage clothes, pictures, books, games, a barber’s and scooter repair shop are also a couple of permanent food and drink outlets. Toot Sweet offers personalised confectionery hampers full of luxury chocolates, fresh fruit, jams, spreads and even locally produced fudge and Turkish delight. 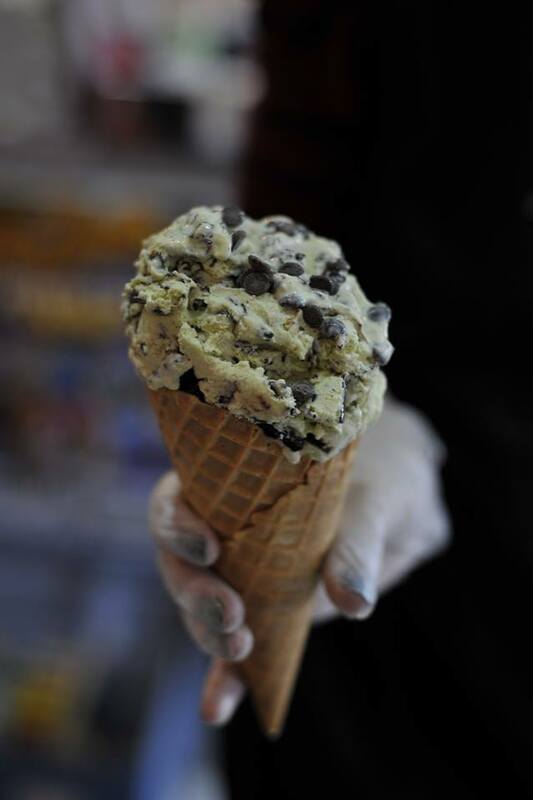 In the store, they have traditional and retro sweets, ice-creams, hot drinks and cakes. Little Touch of Luxury specialises in wedding and celebration cakes with their elegantly designed handmade products, cakes and artisan breads. 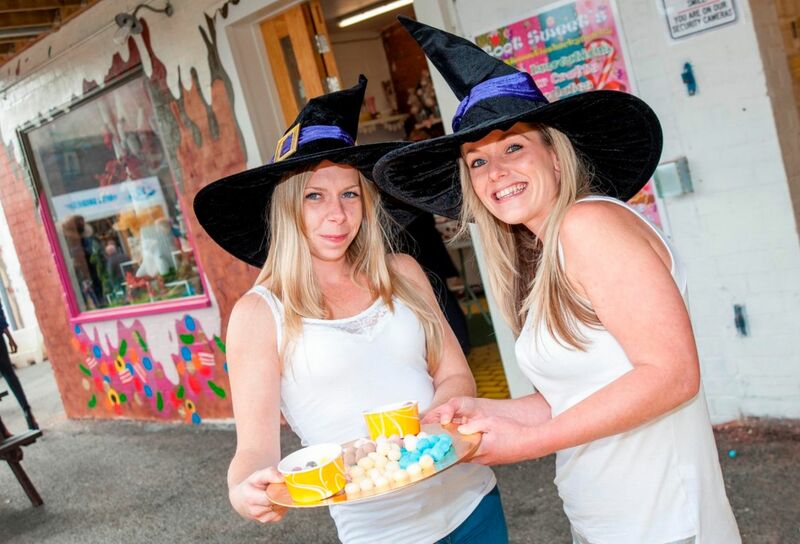 Their dinky café only seats eight so squeeze in to admire their confectionery. 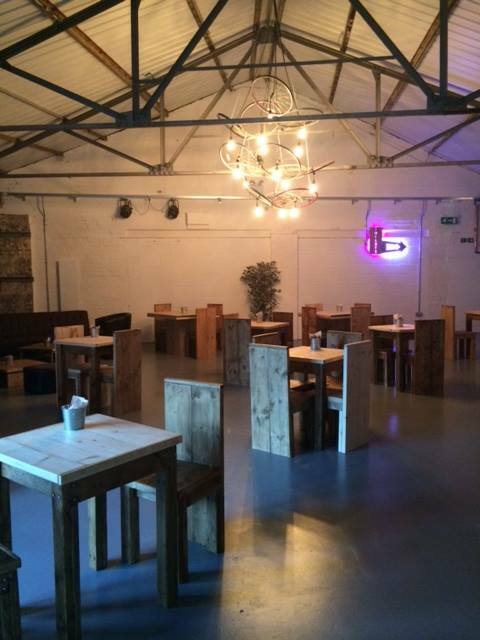 The Birmingham independent coffee shop has moved into a big converted warehouse. They’ve gone crazy with the wood panelling and chunky wooden furniture, but with high ceilings and floor to ceiling windows they’ve just about stopped the interior feeling like a sauna. 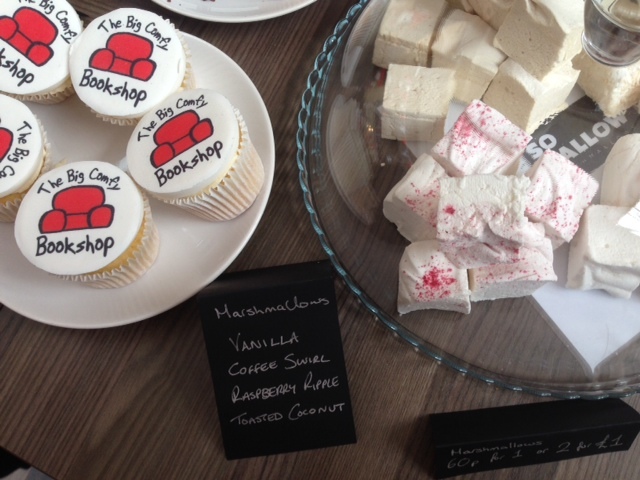 Little cubes of So Mallow heaven are on sale in the Big Comfy Bookshop. 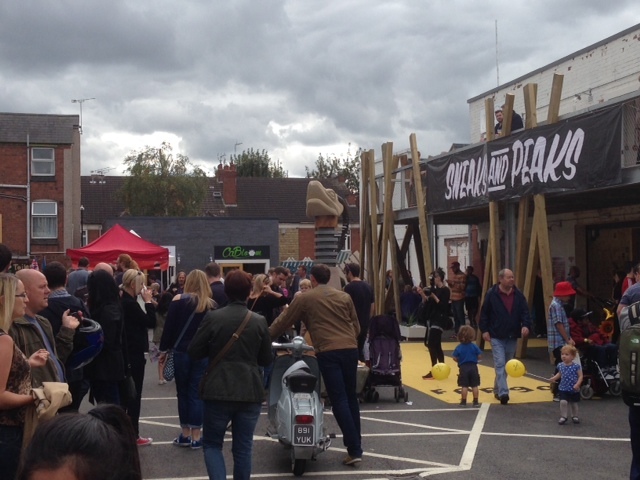 At the opening weekend, the Sneaks and Peaks outdoor dining club featured street food from Big Daddies Diner, Peel & Stone, Becky’s Bhajis and The Flying Cows. 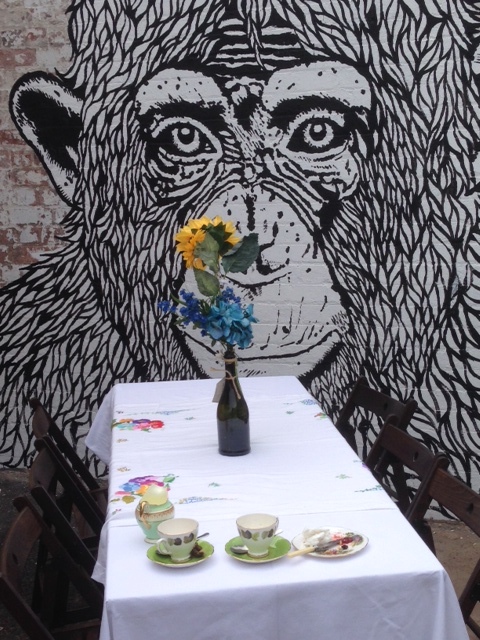 The menu of traders will change weekly so check their twitter for updates @FargoVillage. With a farmers market planned for Sunday 5 October, a large indoor space for exhibitions and outdoor courtyard for eating, drinking along to live music as Coventry’s first hub for independent retailers Fargo Village is well worth a visit. I think that community run food businesses are a brilliant idea, so I was excited to read about a new community bakery being set up in Coventry. After 110 years of baking bread, the former Pails Bakery closed its doors in 2008 and lay empty for five years. 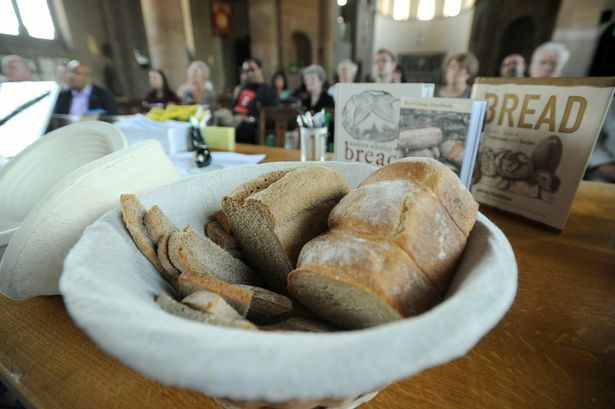 Local residents decided that it was time to restore the bakery to its former glory and inspired by other community food projects, have launched this ground breaking project where people buy community shares in the bakery. Craven Crusts aims to buy the old bakery site in July. The building will be renovated to provide an art studio, café and artisan bakery space, which is scheduled to open in November. The community shares are £50 each and the maximum people can buy is £20,000 worth. The bakery expects to generate 30 % profits by the end of the third year. 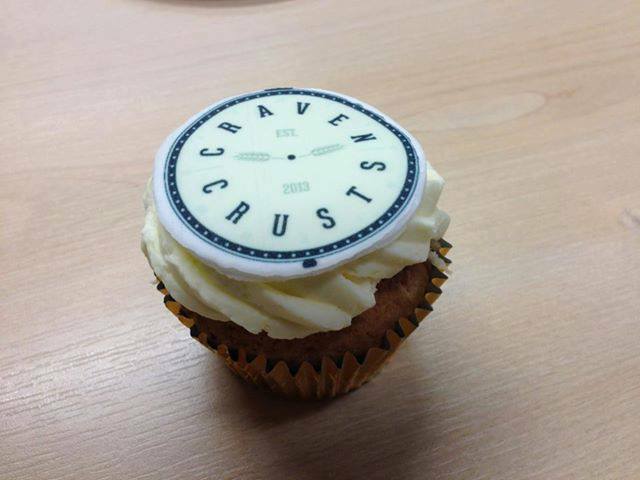 If you are interested in supporting the bakery, complete the form on http://www.cravencrusts.com before 8 August.